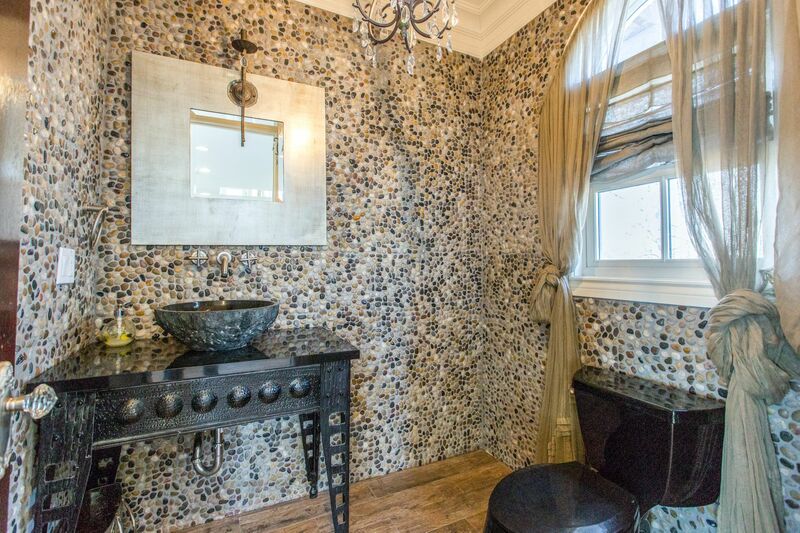 The pictures are good but you need to see this house to experience it. 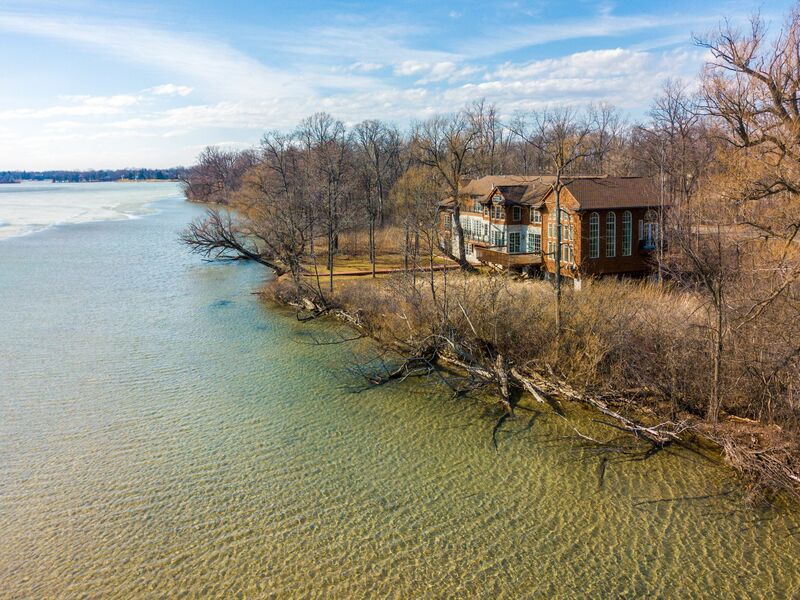 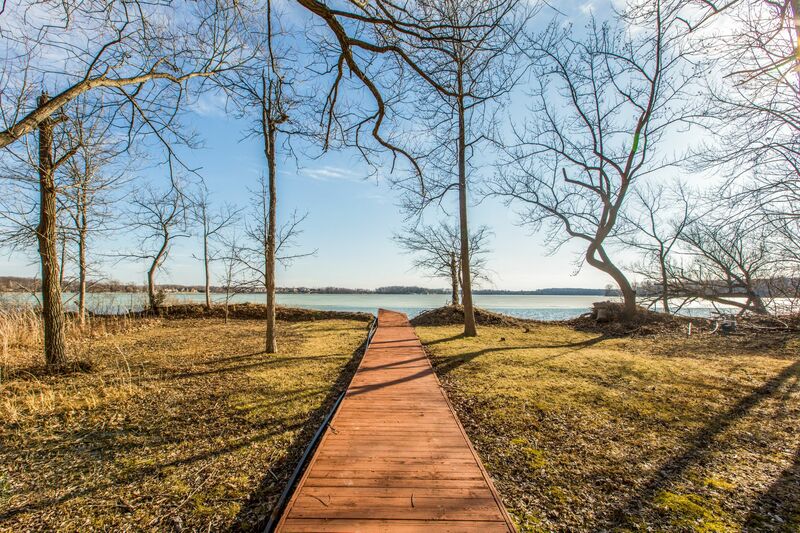 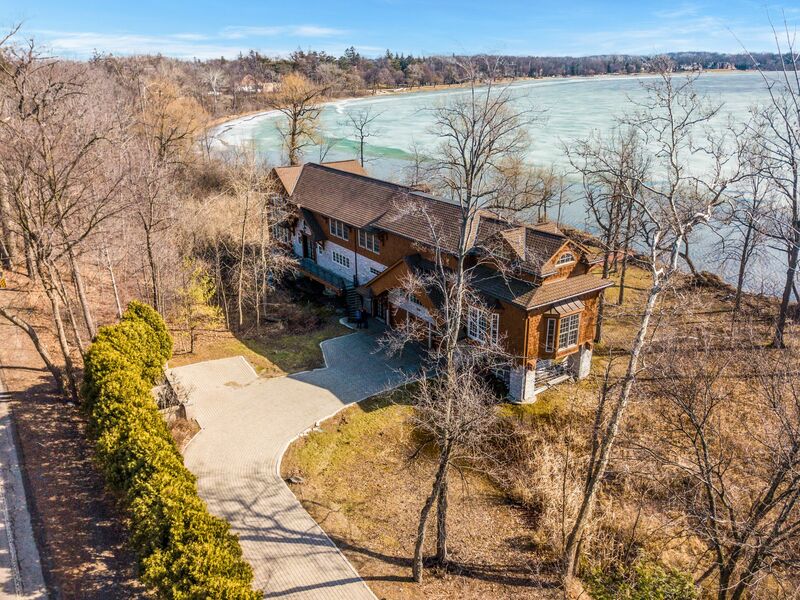 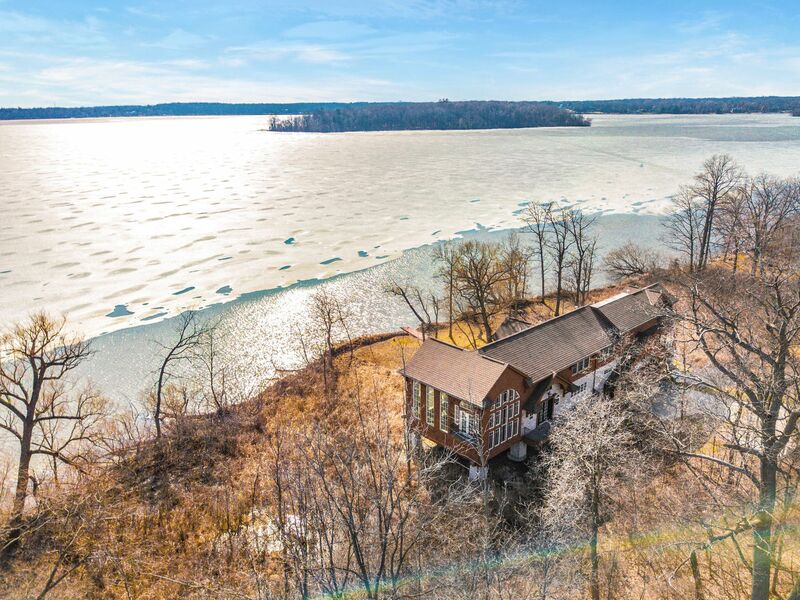 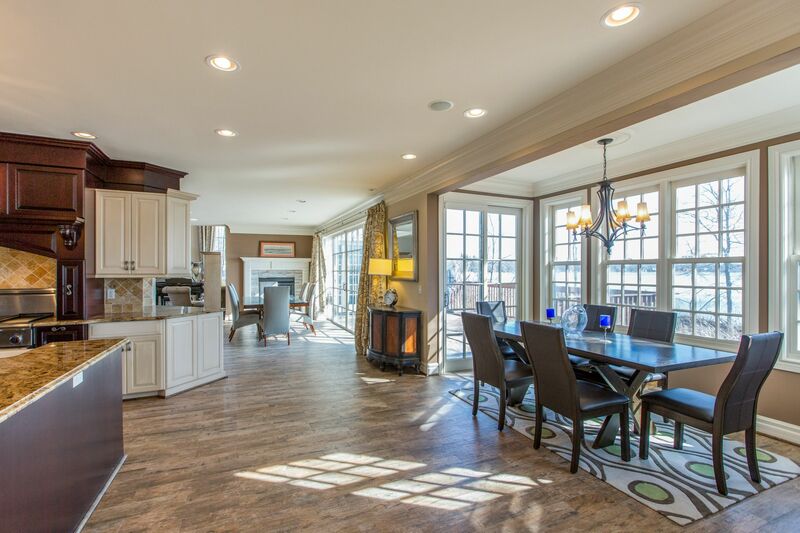 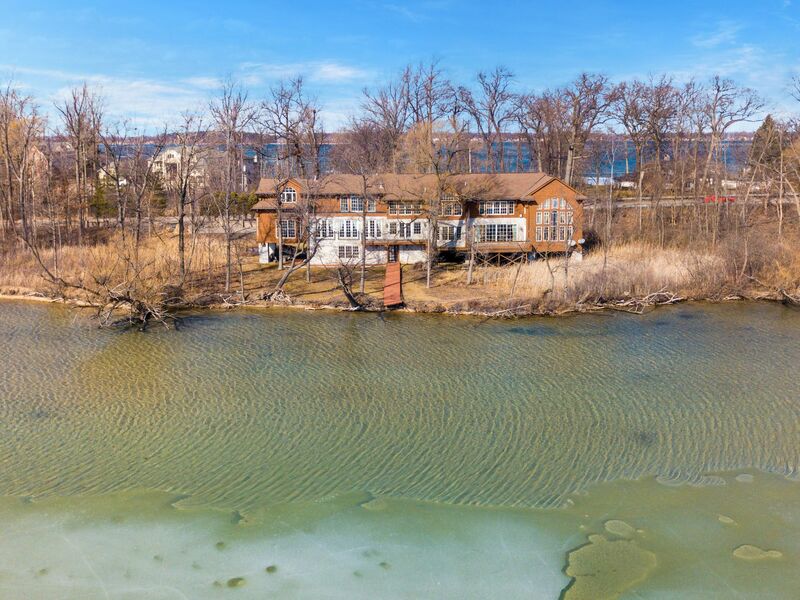 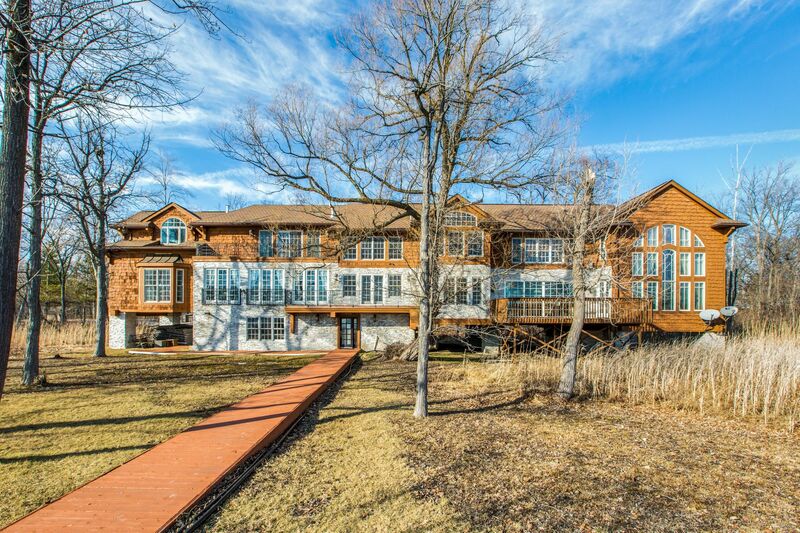 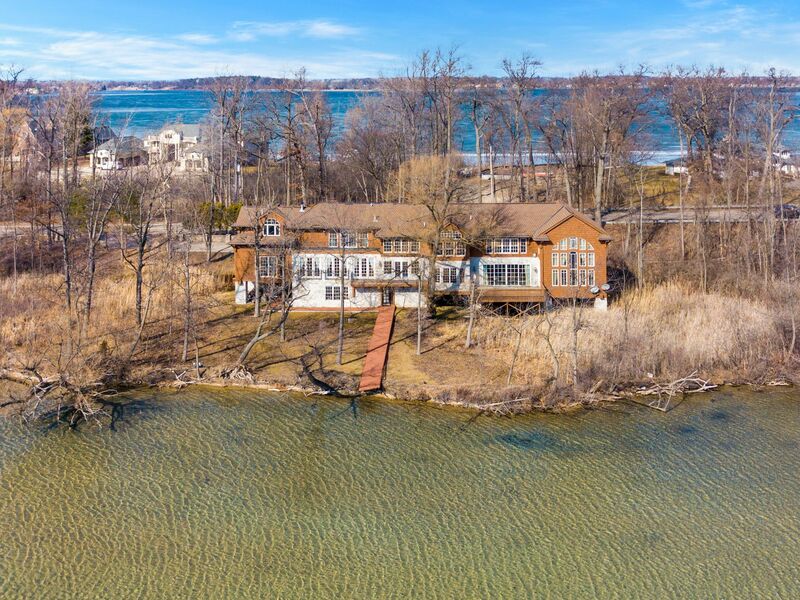 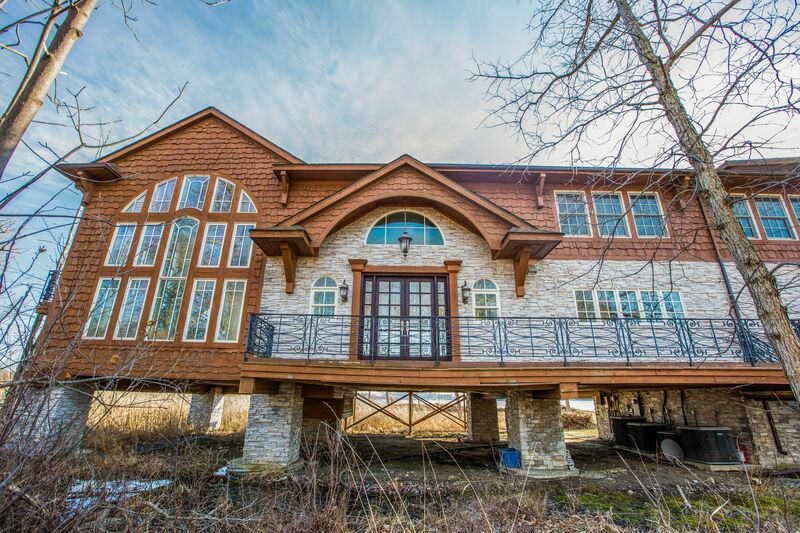 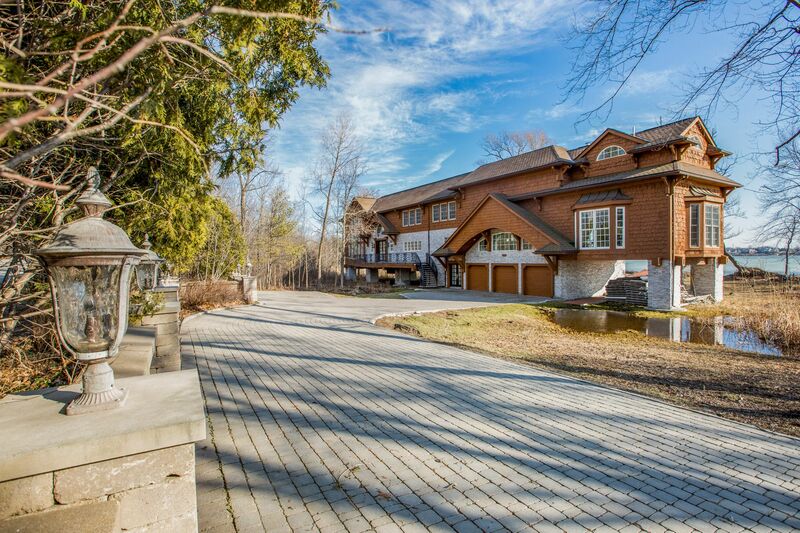 Overlooking the most sought after lake in Michigan, is this Aspen inspired gem. 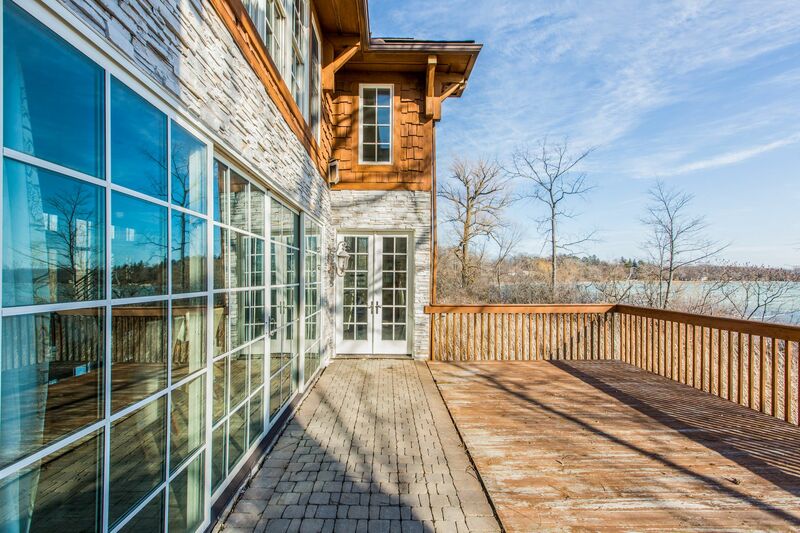 Breathtaking views of the lake from every room, the entire back of the house is glass. 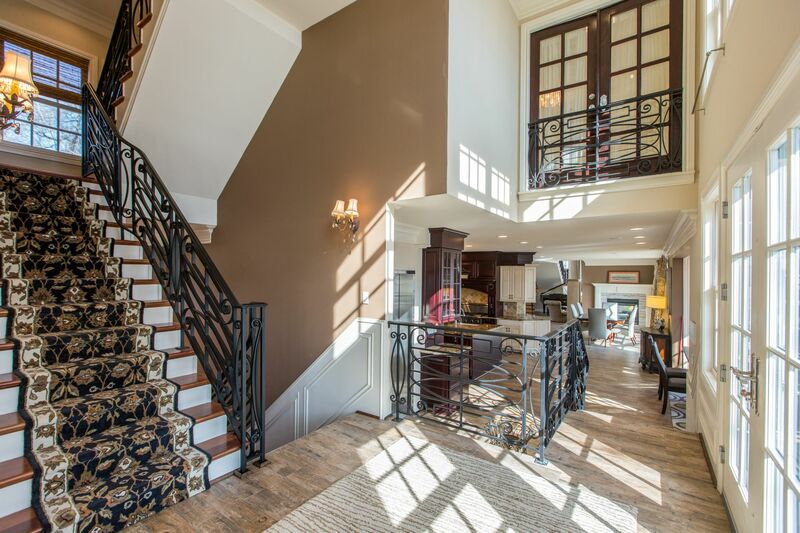 Spectacular unconventional design, two grand staircases with wood/iron detailing, and an elevator that goes to all 3 levels. 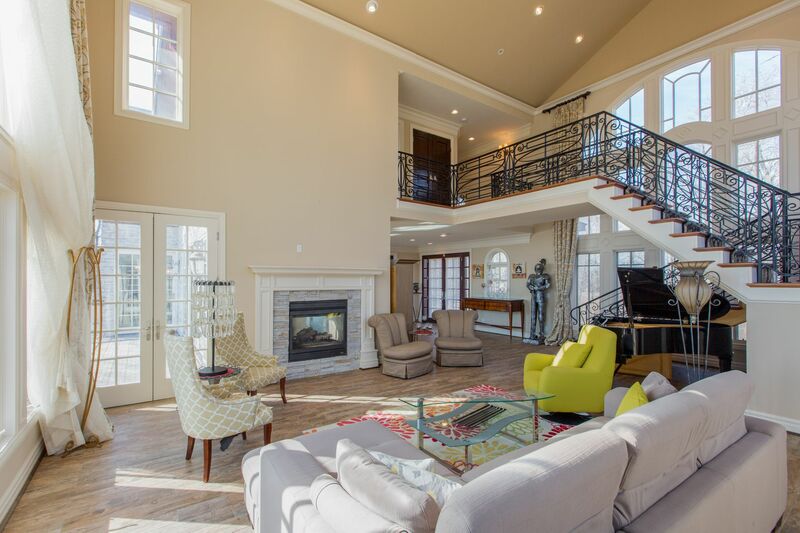 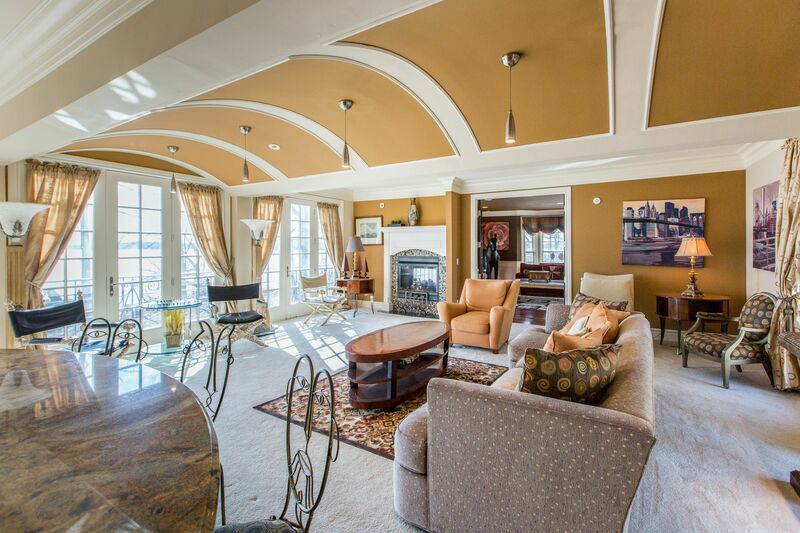 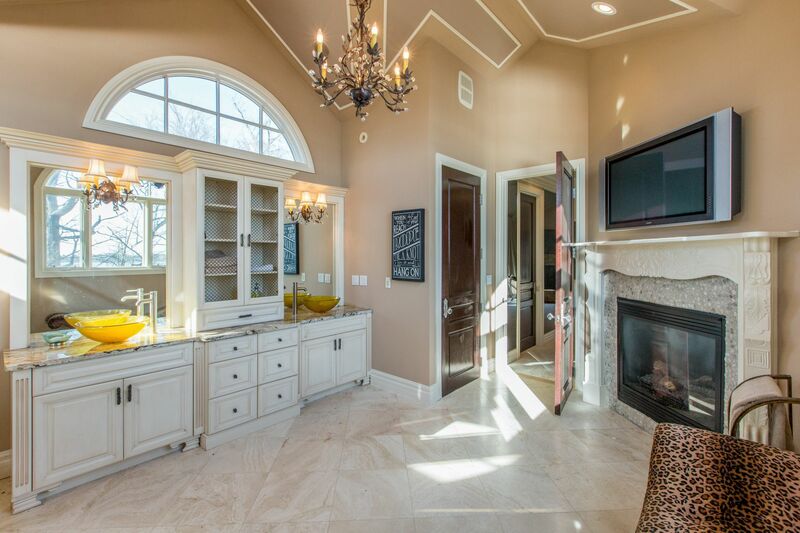 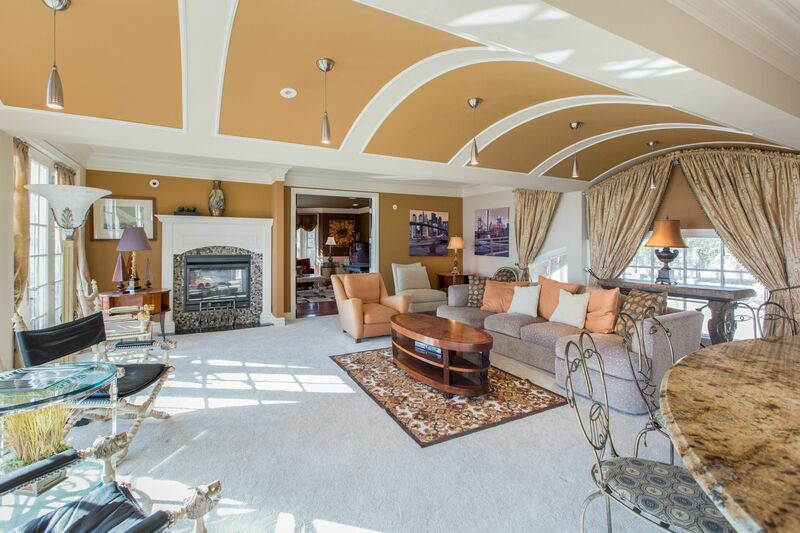 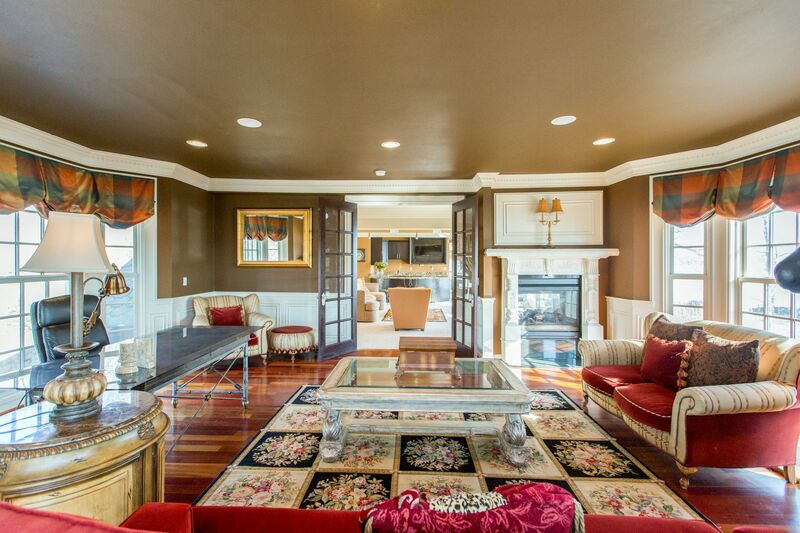 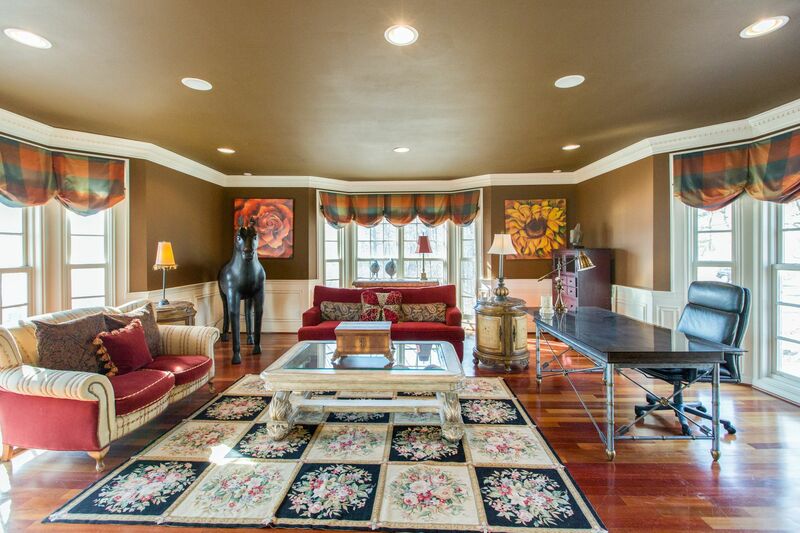 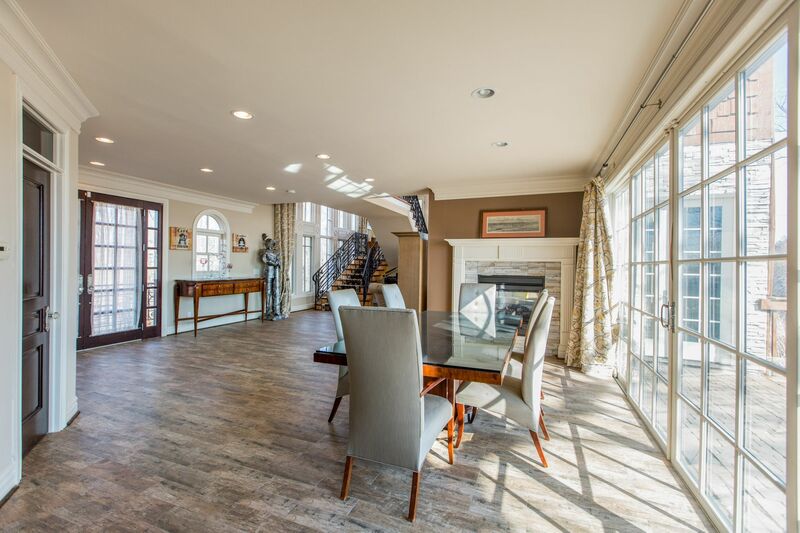 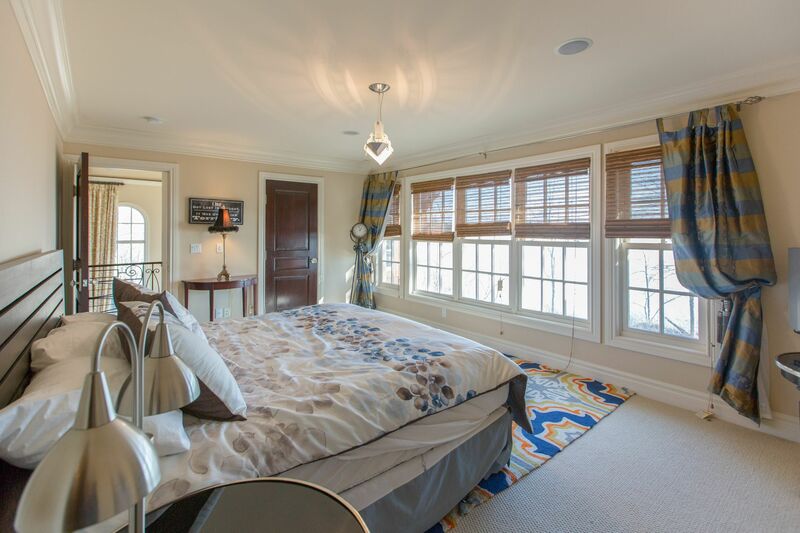 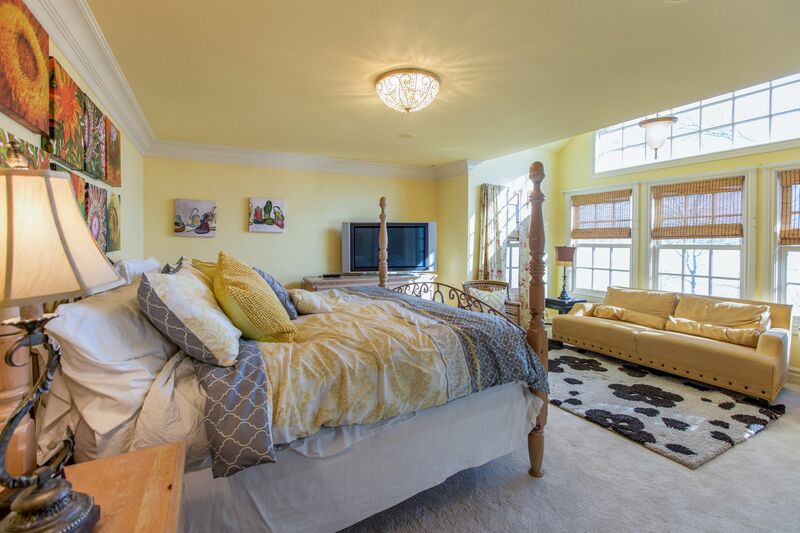 Soaring 2 story Great Room with wood molding detailing, floor to ceiling windows. 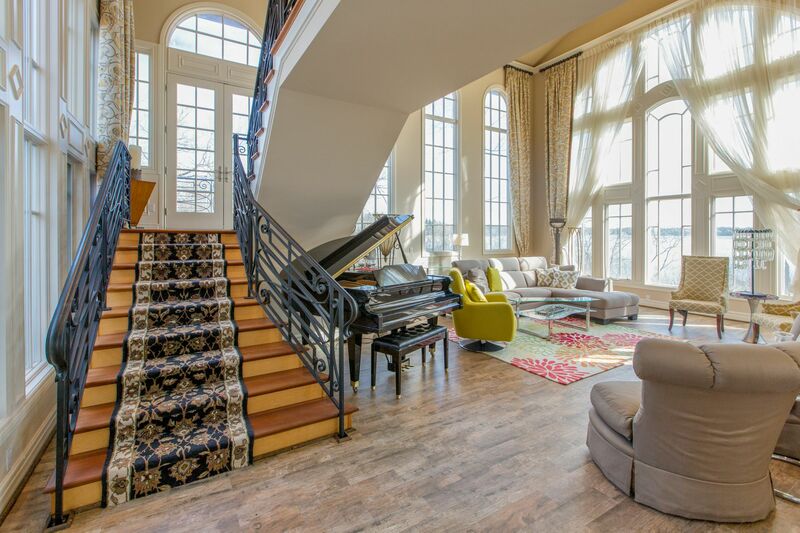 Barrel roof and wood trim detailing in family room and spacious library with gorgeous Brazilian hardwood floors and 3 walls of bay windows. 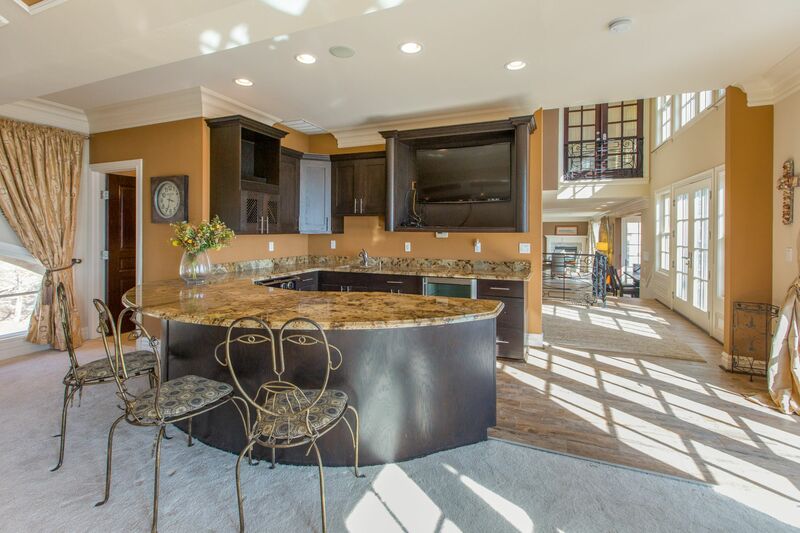 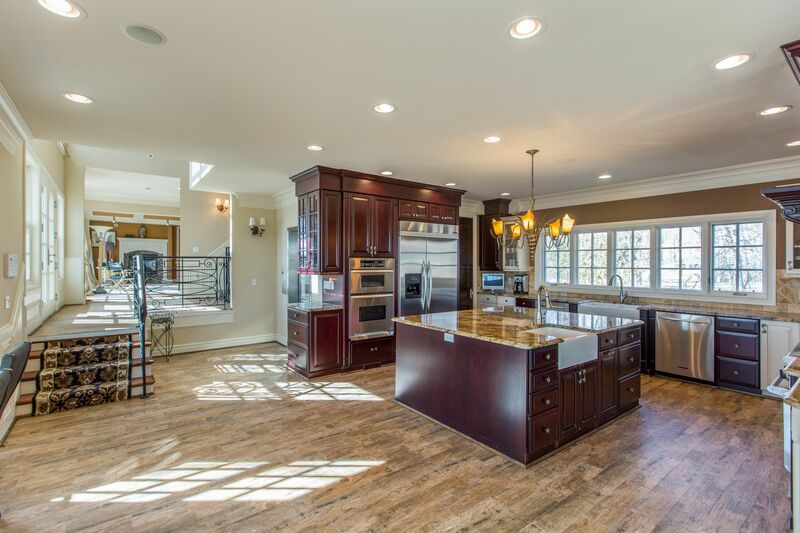 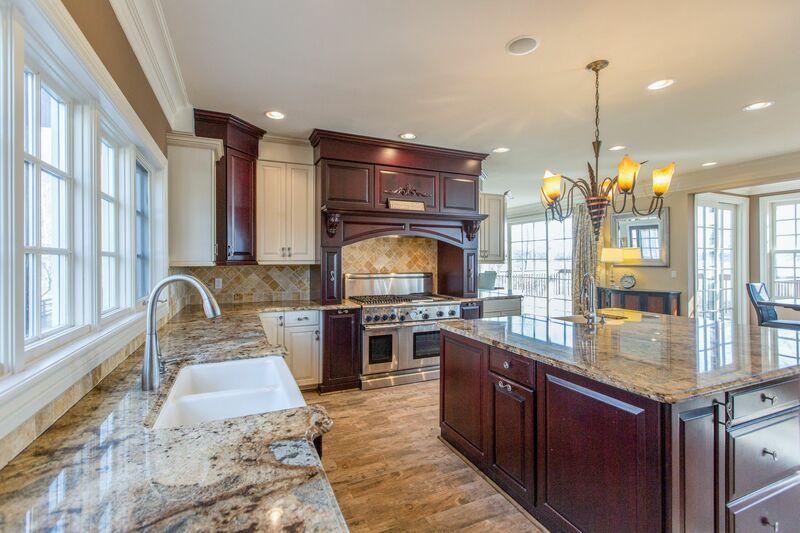 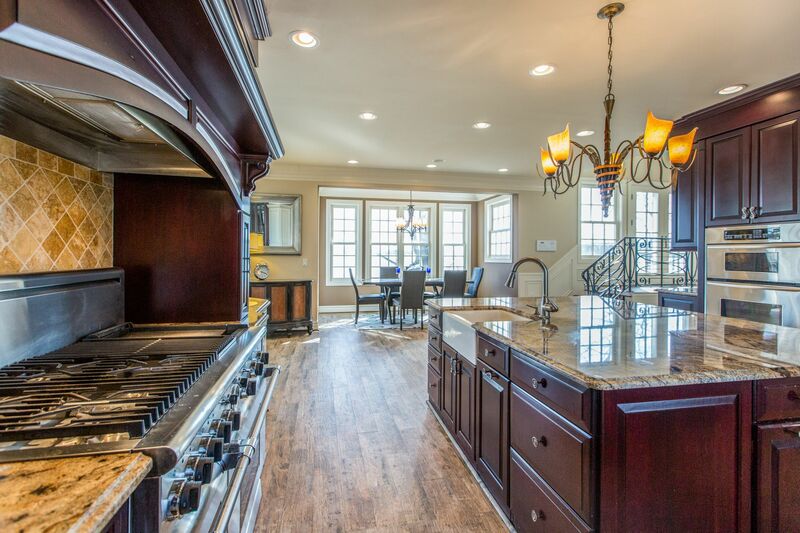 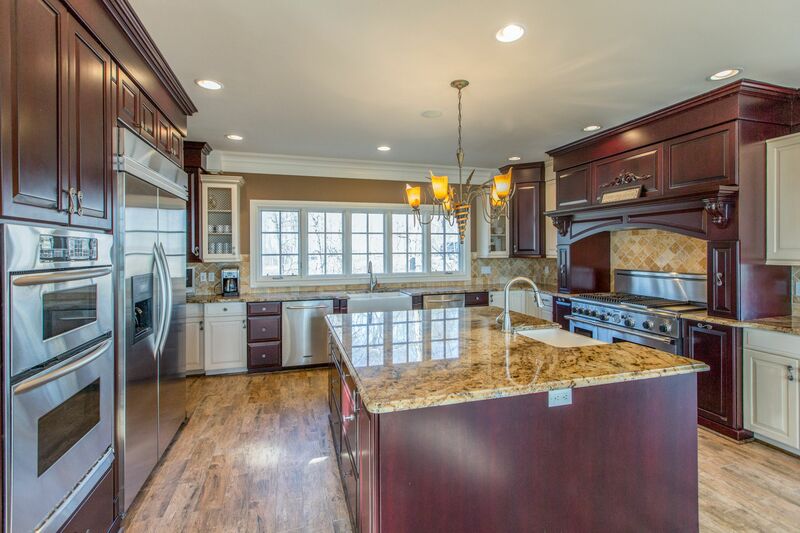 Amazing kitchen with Cherry LaFata cabinets, enormous granite island with second sink, Stainless steel top-of-the-line appliances including Thermador 8 burner oven/stove. 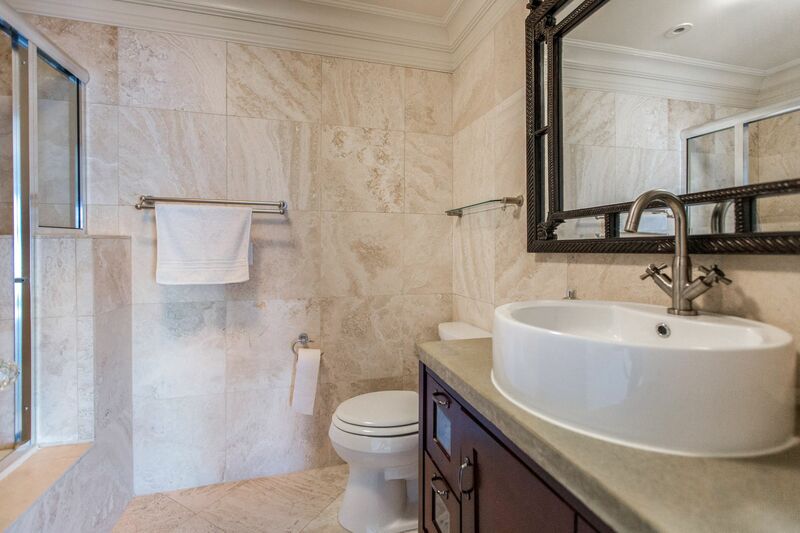 Grand master suite with his/hers closets and huge bath with euro shower, separate jetted tub, his/hers vanities with space left over for a couch! 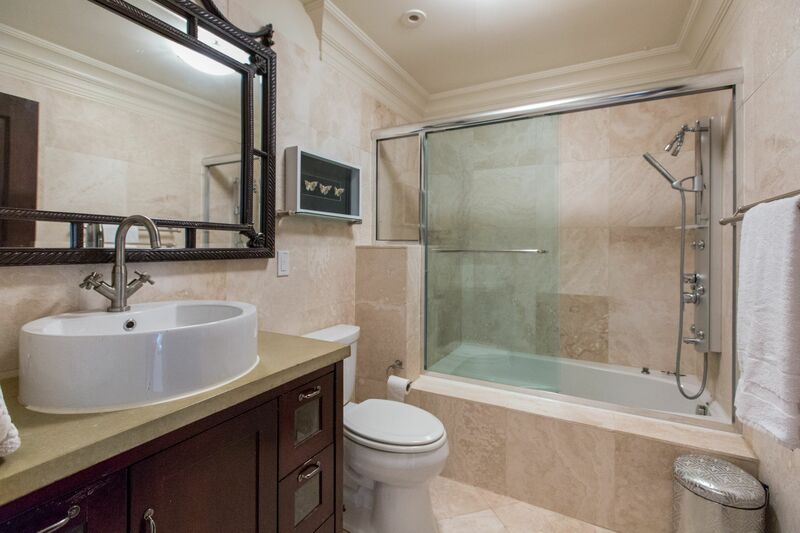 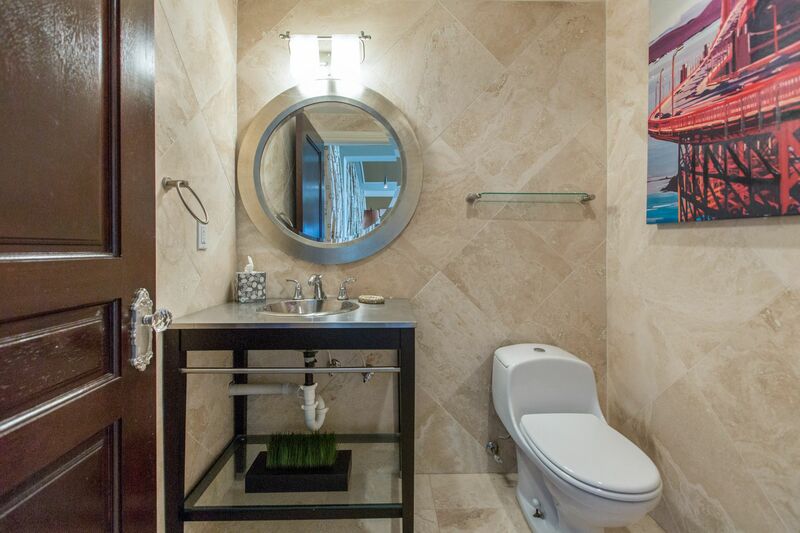 Two other En-suites with walk-in closets. 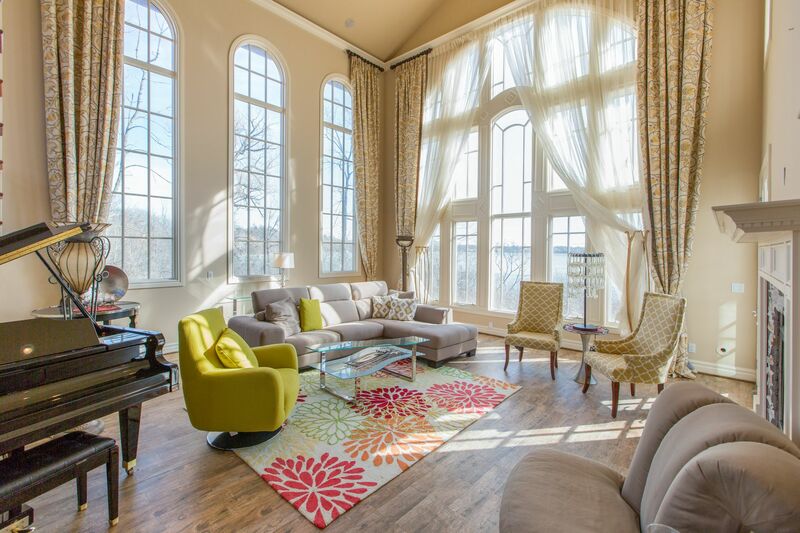 4th floor storage or optional tv room.